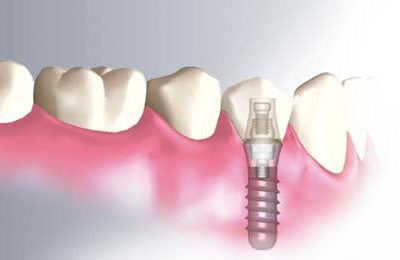 The implant takes on the function of the tooth root and, instead of eroding as the result of undertaking such strain, distributes the pressure from chewing to the jawbone which remains strong and regenerates itself. It is important to note that the new tooth is not merely functional, but also meets an aesthetic requirement. The prosthetic tooth that attaches to the implant will not only look like your other teeth, but will also feel just like one of them. The implant, artificial tooth, and gum work together harmoniously as an integrated whole.